Spring Session – 2nd Spring Session this year ! Jacquelyn has been certified to utilize the statistically valid and reliable Myers Briggs Assessment since 1993 and has administered the MBTI to hundreds, most of them HSPs. Why I love labels; how they can help us; and why we need transform them. 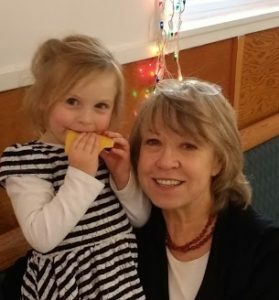 My 3-1/2 granddaughter, who I am almost certain is a sensitive extrovert, like her grandmother. What the 8 preferences mean, what they measure, AND, most importantly, how they overlap with our HSP trait. You will have the opportunity to self identify your MBTI type, and we will then use the results of your statistically valid and reliable 93 question Myers Briggs assessment for final clarification. You will learn about the Dominate, Auxiliary, Tertiary and Least Preferred functions of your type as identified in Part One. This is perhaps one of the most overlooked, yet crucial aspects to learning about type and how to apply it in your life. Click on the Teleclass link, and enter the amount due. Once payment is received, you will be sent information on how to take the on-line statistically valid and reliable Myers Briggs Assessment via my account with Consulting Psychological Press, as well as information on how to join the class via my Zoom account . With Zoom, you have the option of showing up via video, or joining via sound only. You will need to register make payment no later than May 24, 2018 at 5:00 pm Mountain time. (Please keep in mind the last class sold out quickly.) Once payment is received you will be directed to my on-line account with Consulting Psychological Press where you will then take the statistically valid and reliable 93 question Myers Briggs Type Assessment. This must be completed no later than Thursday, May 24, 2018 at 5:00 pm Mountain time. One of the main goals of the HSP_Myers Briggs class is for you to leave with a solid understanding of your type. However, in certain instances, a personal consultation may be needed in order to clarify confusion surrounding your authentic type. In this case, additional charges would apply. Space is very limited, so register early if you are interested. I think one of the most profound things I heard from you was right out of the gate on the first call when you described being an HSP Extravert and mentioned the low-grade lethargy that sets in if the necessary down-time drags on for too long — and that too much isolation is not healthy. I was also struck by what you said about needing novel stimulation but being left with a combination of being energized but exhausted. Those things — the mysterious low-grade lethargy that is not depression and the dance and difficult balance between stimulation seeking and solitude-seeking pretty much sums up many of the issues I wrestle with. I am so, so grateful that you mentioned the low-grade lethargy! It made my jaw drop to hear you talk about it, and I haven’t stopped being thrilled that you put words to that odd condition. I’ve never heard anyone else talk about it and make the point that it is not the same as depression or social anxiety. If I’m not able to attend the Nov 4th *live* session, would it be available to view a recorded version later that day? Briggs instrument. I will be offering the class again, most likely in the early part of 2018. Perhaps you can join us then? I hope so. Thank you Jacquelyn. I look forward to your next offering in 2018. What are the times that the course will be on? There is a chance that I can make this work for me on those 2 Saturdays. If it doesn’t, I will see about getting in the next time it’s offered! Thank you! Hi Judy, Here are the times for the Myers Briggs/ HSP Overlay — they were listed (incorrectly !?) on the post 🙂 ~~ How I make these simple, yet major errors– I do not know…. as I try hard to avoid mistakes. Fortunately, I have a great deal of self-compassion for myself … 🙂 Hope you can join us. I’m glad you wrote, otherwise I might not have caught the incorrect dates. Is there any way to get a recording of your workshops? They sound so good and I would like to hear more on Myers Briggs with my ENFJ/INFJ type. Yes I was extrovert when younger and now in my 50s and still teaching I am more introvert. Hi Geri ! 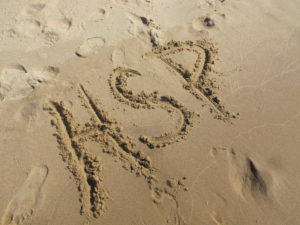 Lovely to hear from an HSP in Australia ! I still regret having to cancel plans for an HSP Gathering Retreat there many years ago. 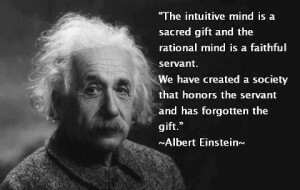 There is so much the Myers Briggs can teach us, especially when HSP knowledge is included. I will be offering my class: Myers Briggs with an HSP Overlay again before June. Please stay tuned.